The first thing I expected when I heard the name GOTIC mixed with Spain was a dark form of Flamenco, probably oriented towards the late Medieval period mixed with Spanish Inquisition, but it was just the opposite, GOTIC is light, optimistic and high quality music that gently combines the warm and relaxing sound of CAMEL with early PFM and roots in Spanish ethnic sounds from Cataluña, a great exponent of Spanish Symphonic. 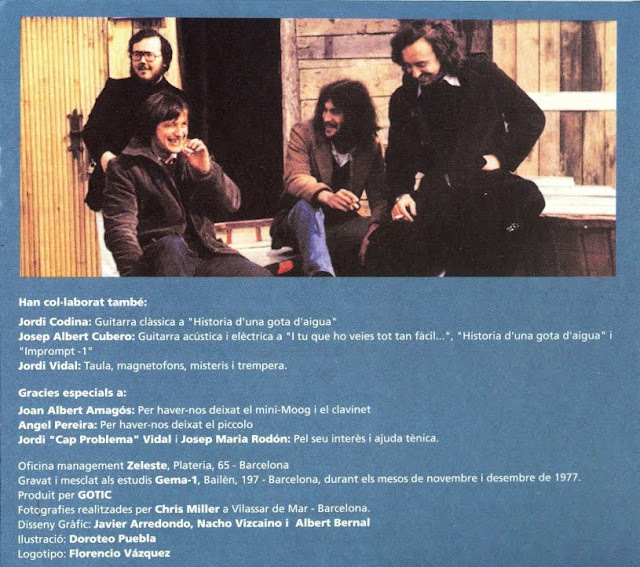 The band was formed in the late 70's by the famous Rafael Escote in the bass, Jep Nuix (Flute and Piccolo), Jordi Vilaprinyo (Keyboards) and Jordi Marti in the drums and percussion. As I said before the main influences of their only album Escenes released in 1978 are Camel and PFM, but there are some other easy to identify Prog references to Gentle Giant and some form of Fusion that reminds me of the Jazz-Symphonic sound of Chick Corea's keyboard in his RETURN TO FOREVER era. The best track of the album is the 10:15 minutes Epic "Historia d'una Gota d'Aigua" (History of a Drop of Water) with the dramatic change between the relaxing introp and the breathtaking closing section. 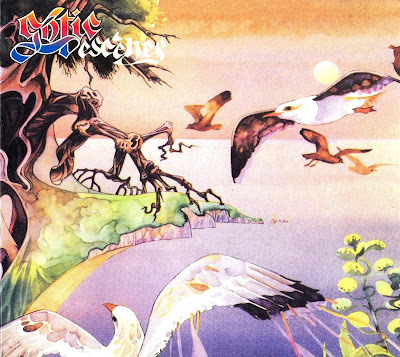 Sadly they didn't had the chance to evolve because the debut album was more than promissory but as a consolation Rafael Escote has a very prolific career as member of the Fusion band Pegasus and as a soloist.